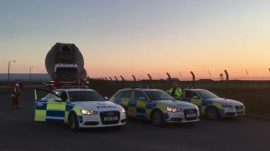 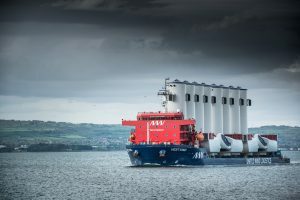 CS Wind UK has transported the second batch of wind turbine towers for the Beatrice project from its factory in Machrihanish to the Campbeltown harbour, both located on Scotland’s Kintyre peninsula, according to CS Wind UK’s social media updates. 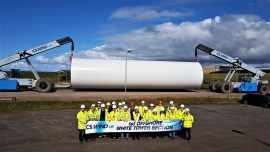 CS Wind UK has shipped out the first batch of UK-made offshore wind tower sections from the Campbeltown harbour in Scotland. 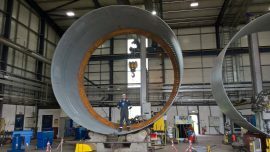 The first offshore wind tower section has left the paint shop at CS Wind UK’s facilities in Machrihanish, Scotland. 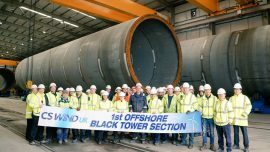 Wind turbine tower manufacturer CS Wind UK has completed the first offshore wind tower at its fabrication plant in Machrihanish, Scotland. 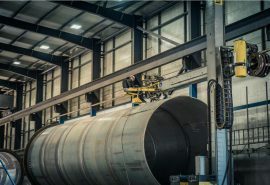 Wind turbine tower manufacturer CS Wind UK has started producing first offshore wind towers at its facilities in Machrihanish, Scotland. 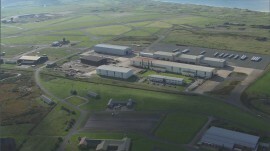 Wind turbine tower manufacturer CS Wind UK has announced to its staff at the factory in Machrihanish, Campbeltown, that it intends to let go of more than 50 workers due to challenging market conditions. 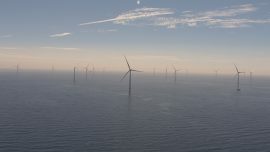 The New Jersey Economic Development Authority (NJEDA) is seeking ideas from qualified entities with perspectives on offshore wind port infrastructure and supply chain development in New Jersey. 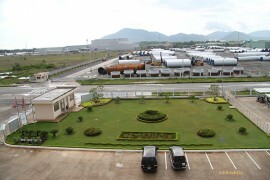 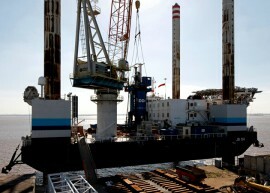 CSBC has commenced construction of a 140m barge that will serve the offshore wind sector in Taiwan. 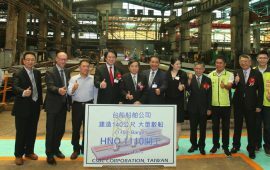 China Steel Corporation (CSC) has held a groundbreaking ceremony for an offshore wind foundations manufacturing plant in Kaohsiung, Taiwan. 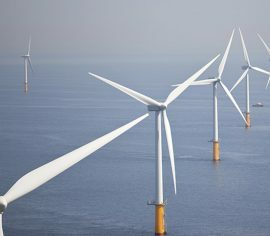 The UMass Dartmouth Public Policy Center (PPC) has launched a new project which will monitor the offshore wind industry in the United States and analyze its economic development and workforce implications. 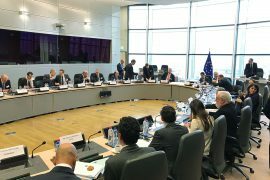 A group of 25 wind industry executives have called for market scale and visibility on renewables deployment volumes in order to sustain the current cost reduction pathway during the first meeting of the European Commissions’ Clean Energy Industrial Forum dedicated to renewables. 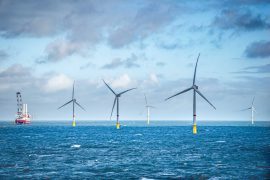 TMA Logistics B.V. has announced it hopes to expand its offshore wind activities after Hutchison Ports’ acquisition of the company’s 50% shareholding. 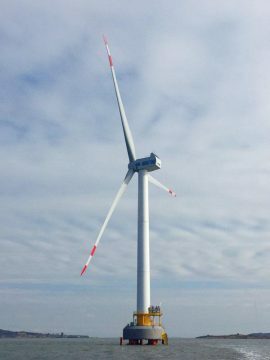 Chinese wind turbine manufacturer and offshore wind farm developer, CSIC (China Shipbuilding Industry Corporation) HaiZhuang Windpower, informed on 21 December that two of its H128-5MW wind turbines are now installed off in Fujian Province and connected to the grid. 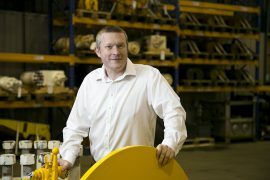 Kongsberg Digital is purchasing a 34 per cent ownership share in NSG Digital, a subsidiary of the NorSea Group. 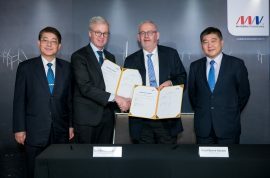 The two companies will now collaborate on digitalising the supply chain in the oil and gas and offshore wind industries. 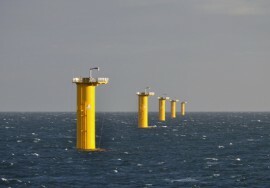 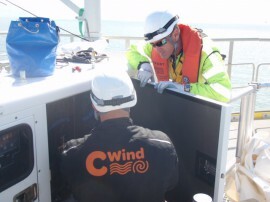 Oilfield Machinery Ltd (OilMac) has announced that it will set up an East Coast Centre for Energy Logistics (ECCEL) to support offshore wind farms in the North East UK. 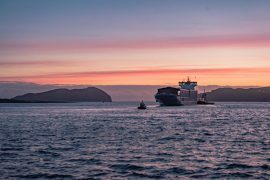 The centre will launch its new heavy lift division, OM Heavy Lift, into the offshore wind sector, according to the company.